Your perfect lip colour awaits in Benefit’s lipstick collection; a dreamy line-up of high-pigment lipsticks in a rainbow of shades for all skin tones. 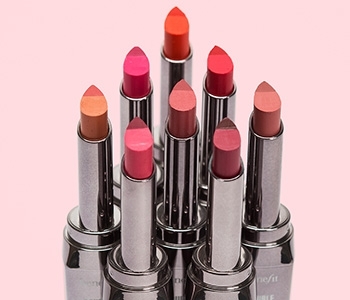 Perfect for professionals and beginners, Benefit lipsticks glide-on vibrant colour and nourishing ingredients, for lips that look as good as they feel. The Benefit lipstick range invites you to experiment with a new shade or find an everyday hue that’s completely you.